Please read the following notes carefully, before installation of your Tiger 800 Edition vSystem kit. The vacuum connection on Triumph Tiger 800 models varies, depending on when, exactly the machine was manufactured, and in which country it was sold in. Comparing the photos below with your own bike will help you determine which model you have and, which parts from the kit should be used. Installation is the easiest on these models, as the vacuum spigot is visible and easy to reach. 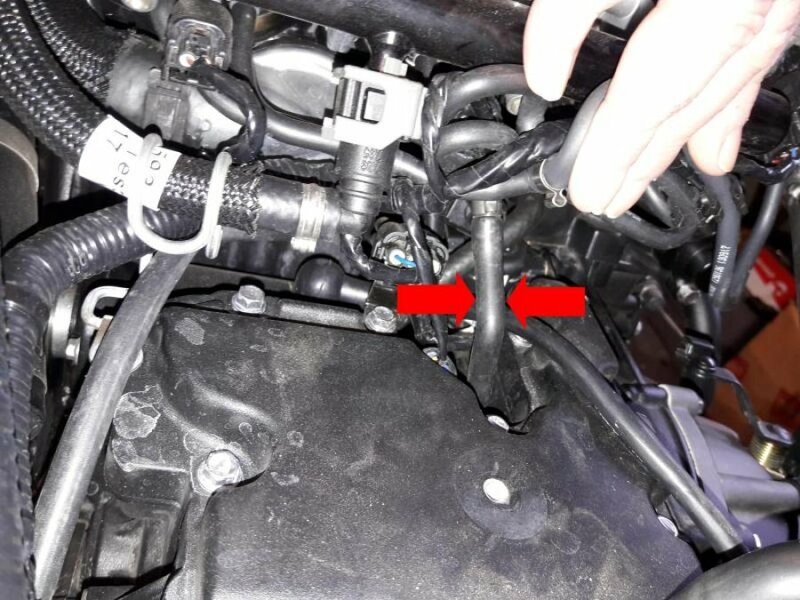 Standing on the right side of the bike, you can look through the frame and see the vacuum spigot with a rubber cap, pointing backwards, on the rear of throttle body No.3. ...., and push the thin, black vacuum tubing into the black vacuum damper and push the vacuum damper onto the spigot. Route your vacuum tubing neatly from the vacuum damper to your reservoir, avoiding any throttle cables or linkages and hot engine or exhaust components. ... and push on the (Grey, 6mm) vacuum damper from the Tiger 800 Edition kit firmly onto the tee connector, and route the vacuum tubing neatly from here to the top of the RMV. Tiger 800 models sold in the USA (from 2010) and those compliant with Euro4 emissions standards (sold from late 2016 onwards), have vacuum operated "EVAP" systems installed. 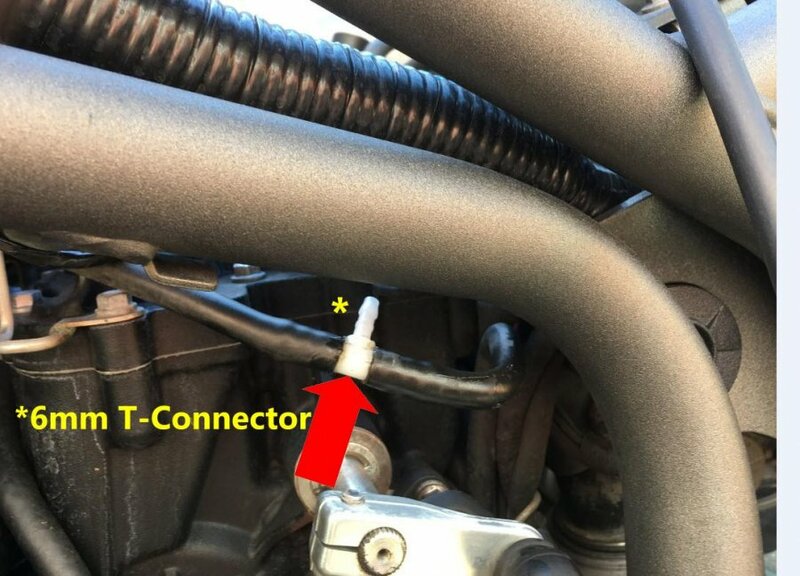 To make the vacuum connection on these models, you simply cut the vacuum pipe between the throttle body and the EVAP "Purge" valve,(which is located behind the gear box), and insert the 6mm T-connector from the Tiger 800 Edition vSystem kit. You then push the standard (black, 4mm) vacuum damper onto the T-connector. 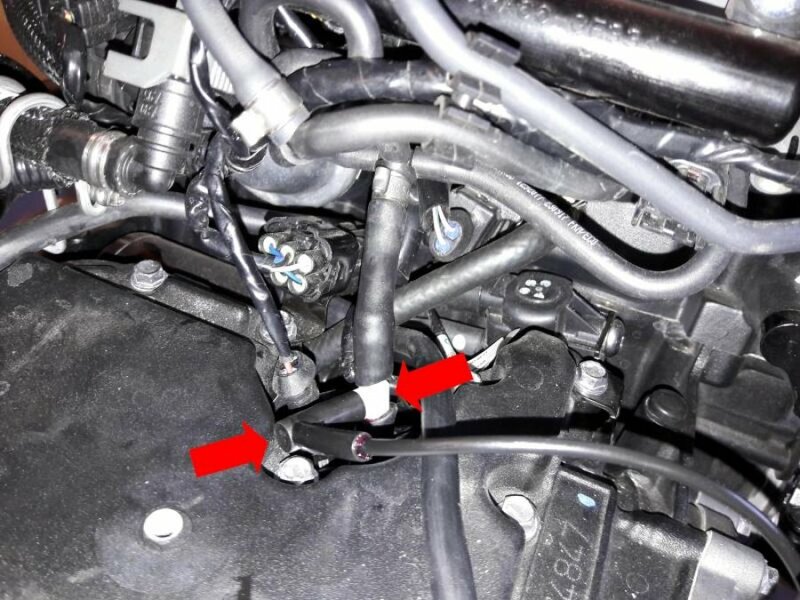 On Models from 2018 onwards, the fuel tank and air box need to be removed to access the vacuum tube to the EVAP purge valve, which is located in front of the gear box. Cut the lower vacuum tube and insert the 6mm T-connector. Push the thin, black vacuum tubing into the vacuum elbow and route this neatly to the top of the RMV.